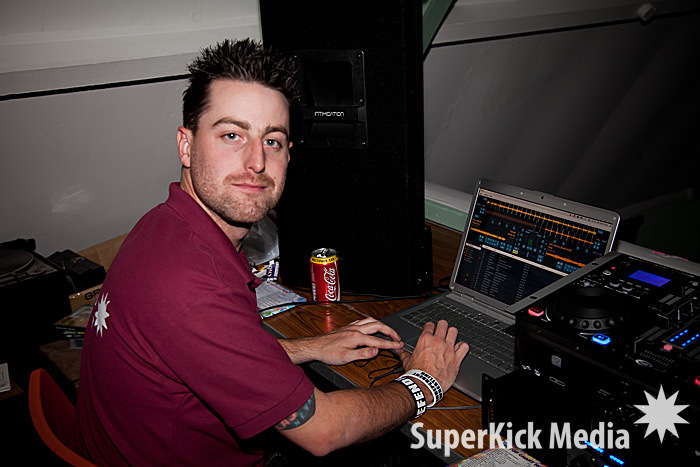 This weekend we met up with the fantastic Adam & beautiful Lauren in Ickford, Bucks, to take care of their wedding reception disco. 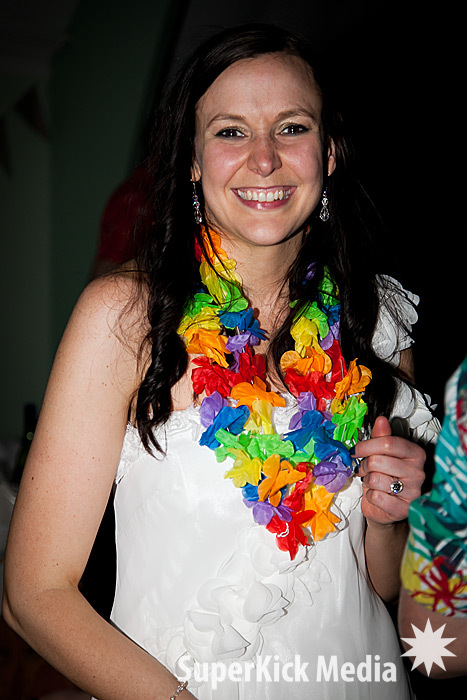 Arriving just in time to see the fish & chip van catering service (best idea ever! 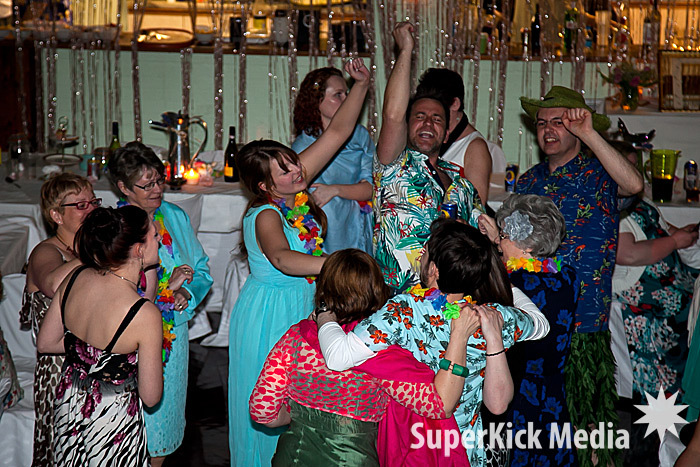 ), we quickly set up during dinner and took control shortly after the speeches. 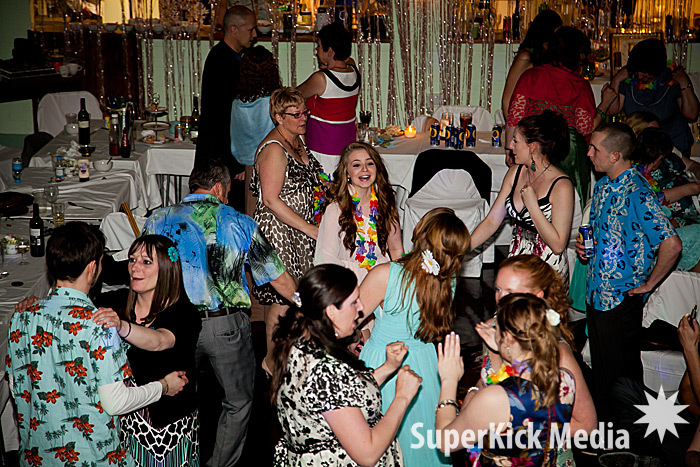 It was a really fun night and as one guest was overheard saying, we “nailed it”! 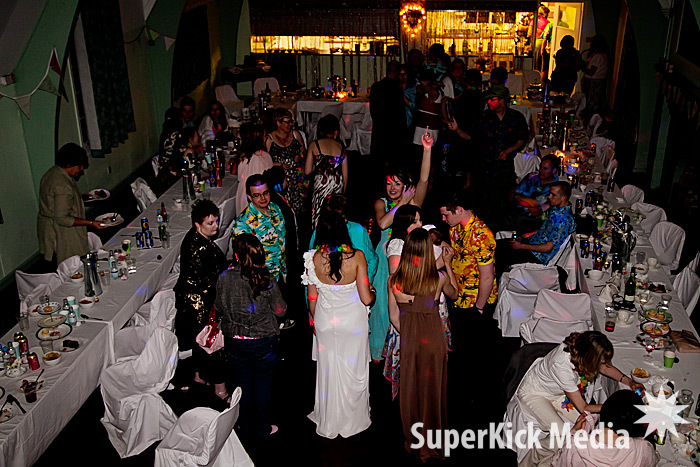 It was a great evening full of brilliant people who partied the night away. 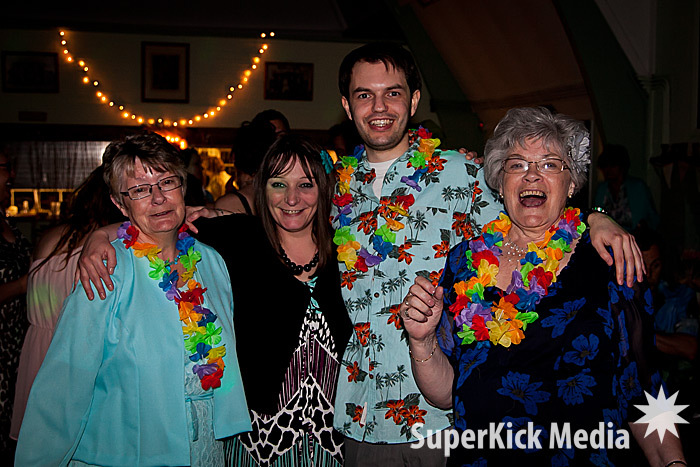 Thanks to Ref Paz for his help & amazing rock music skills, and to the Groom’s mum Sharon for booking us! 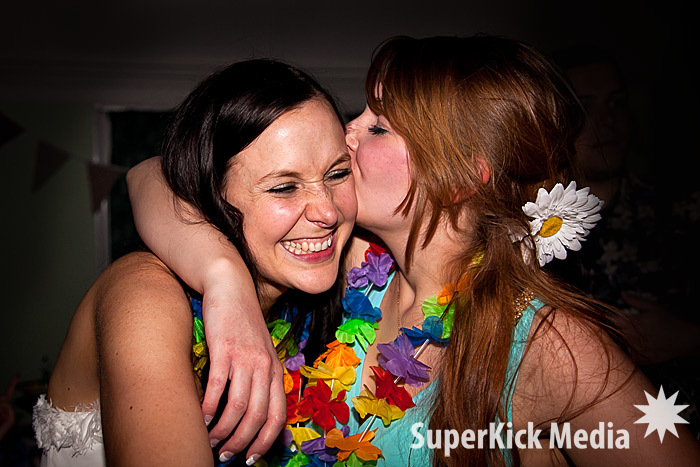 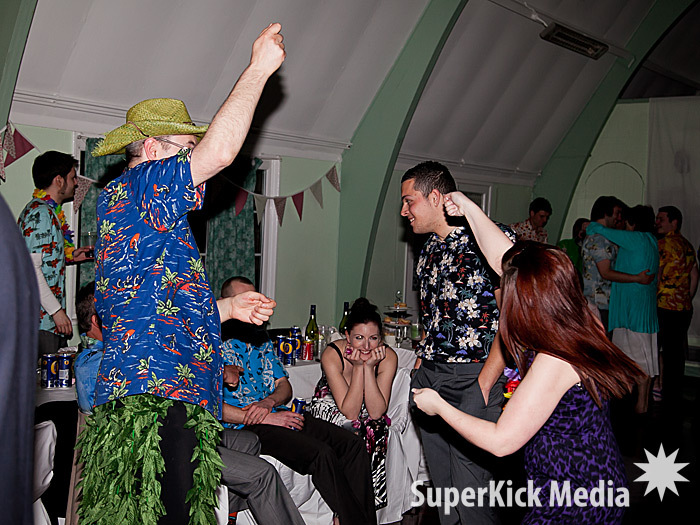 Congratulations to Mr & Mrs Bond from us all at SuperKick Media! 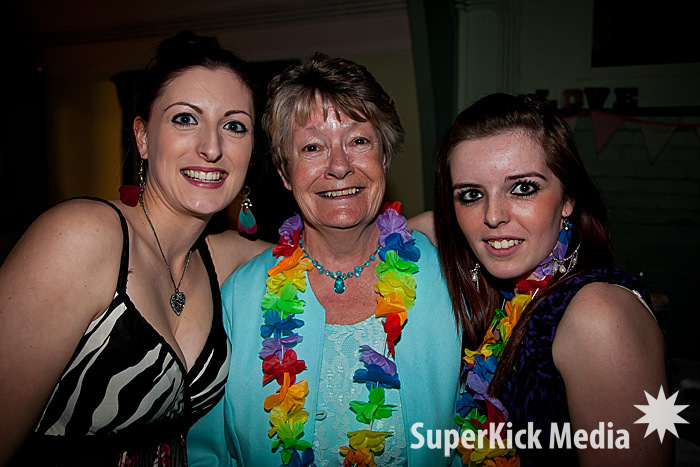 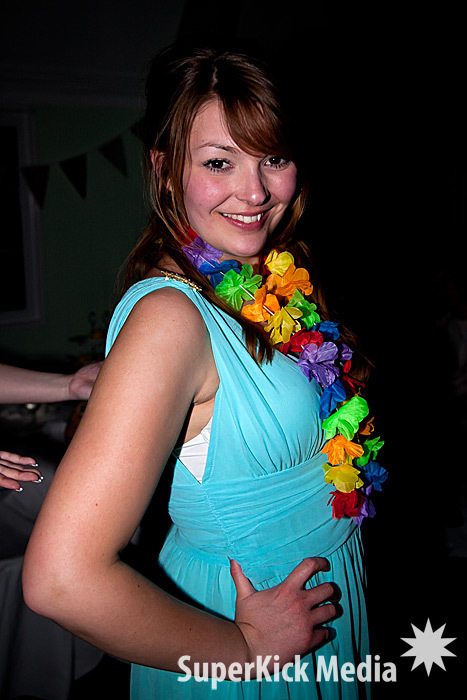 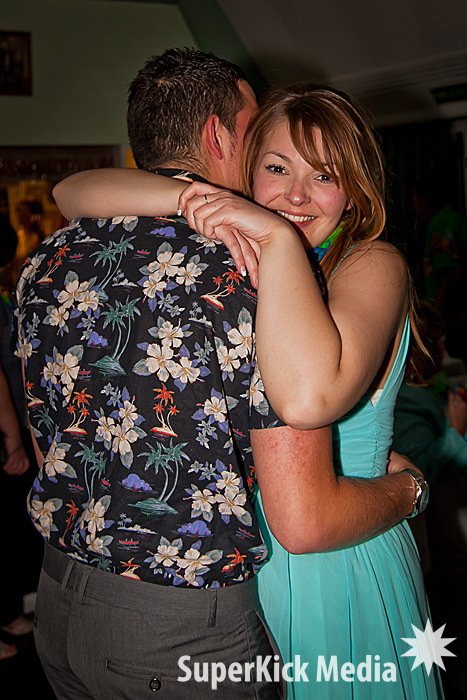 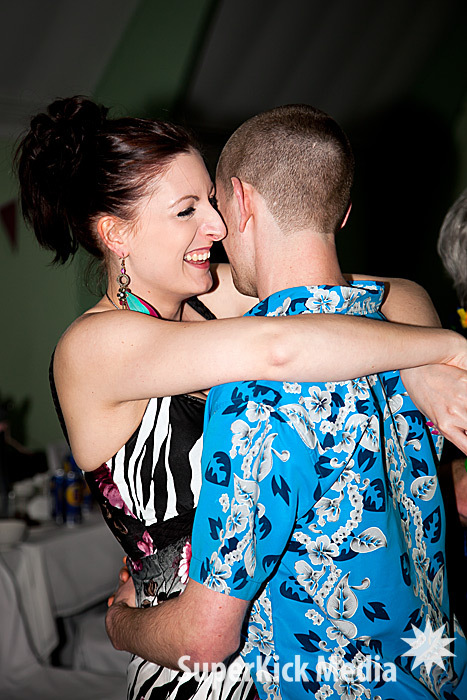 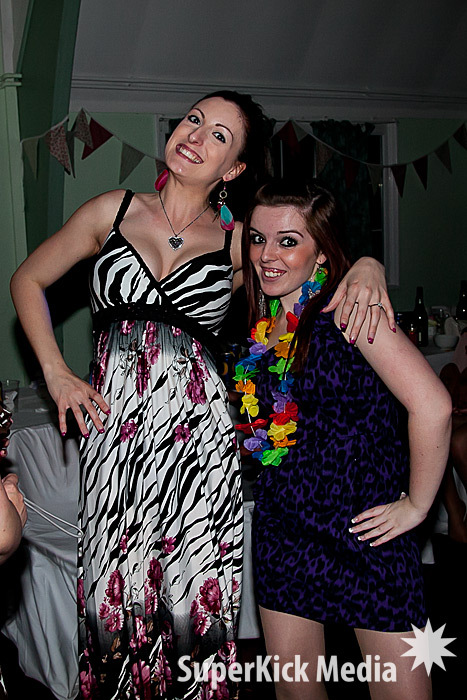 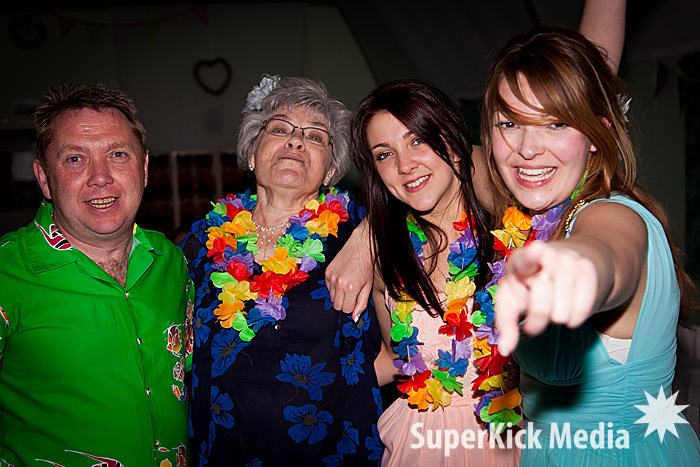 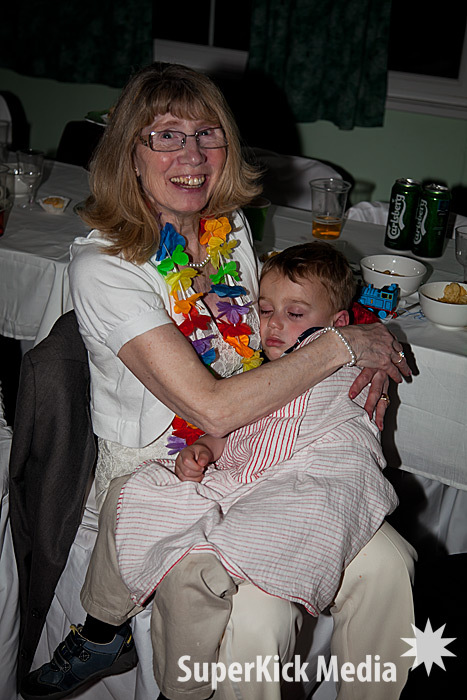 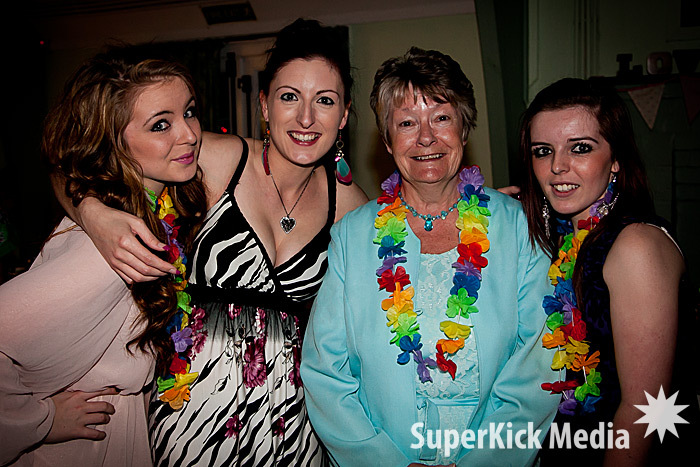 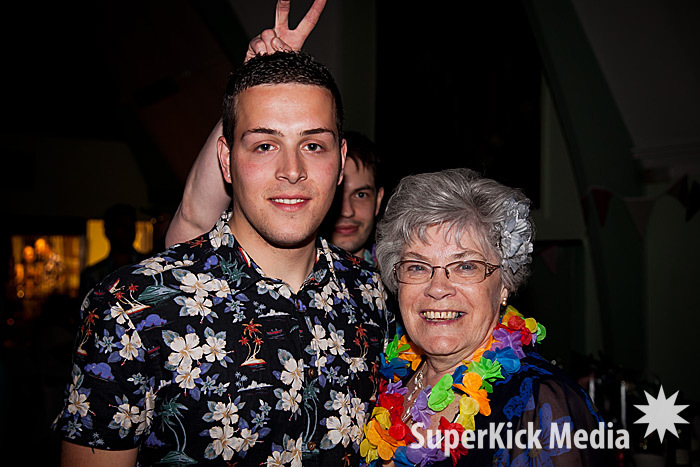 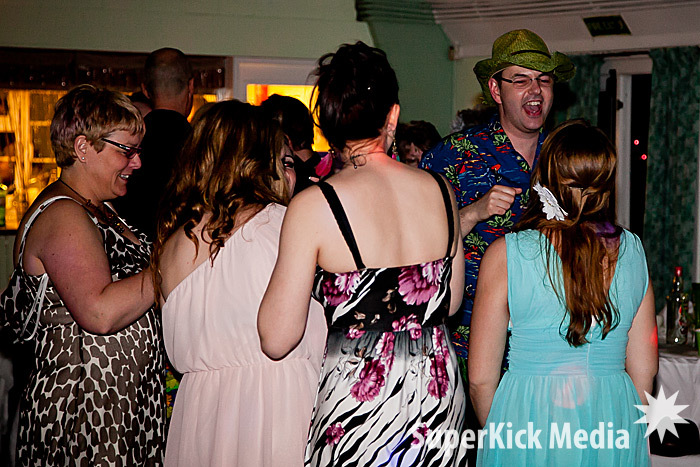 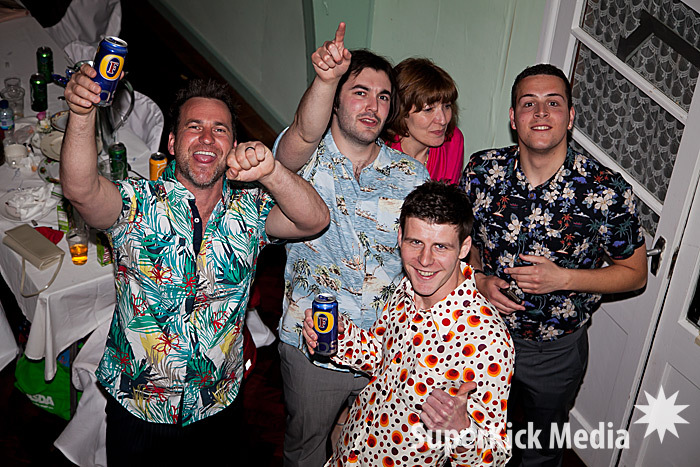 Below are a couple of pics from the evening – check out the Hawaiian shirts!! 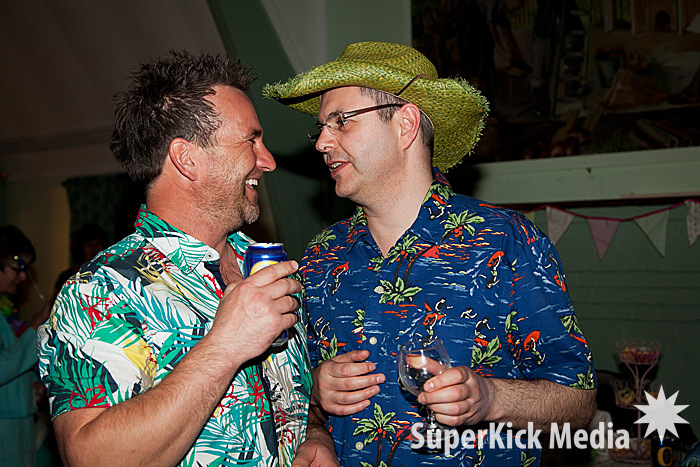 If you want to book SuperKick for your event, please get in touch. 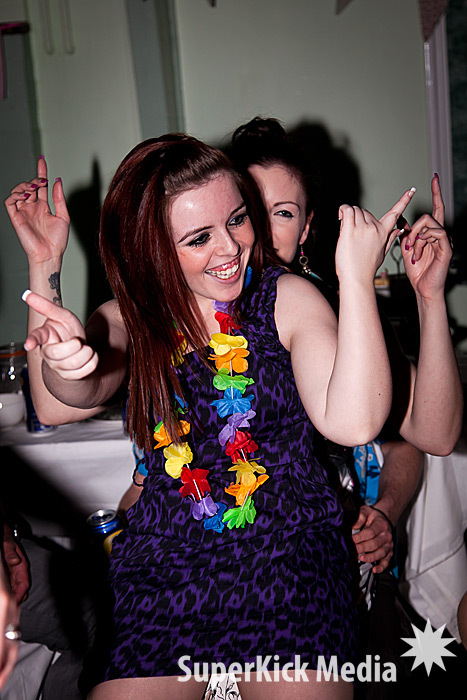 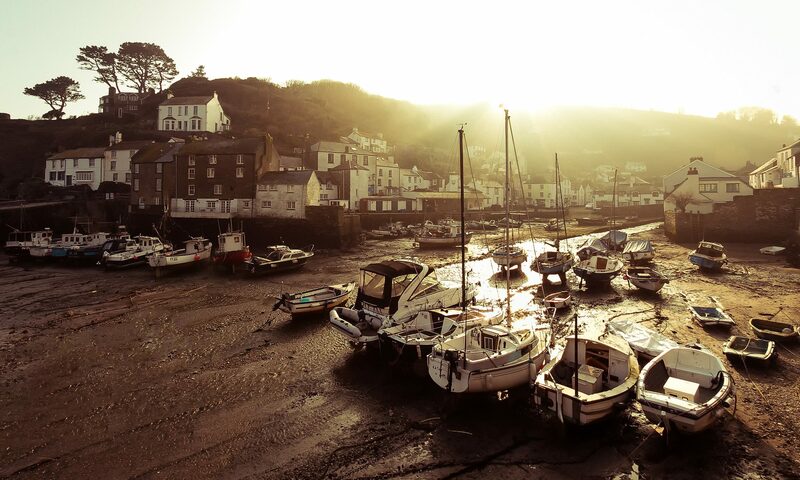 We offer a range of services including photography, video production and discos.